It is easy to look back on the past with rose tinted spectacles and think that all was well then, unlike the turbulent times we appear to be living in today. However, a closer examination of the past dispels the myth that our forefathers led a less stressful lifestyle. Life around the 1890s to 1900s in Great Britain was one of tremendous change. The threat of invasion by the French had gone away; however there were other conflicts in which the country was involved in during the course of building an empire. As publication of newspapers and periodicals became more affordable, the villagers of Milton would have been aware of global events such as General Gordon being killed during the siege at Khartoum, the Indian mutiny, the Boer wars and the Zulu war in South Africa. The British army were fighting battles in Afghanistan and on the North West Frontier in what is now Pakistan in order to protect British interests in India. 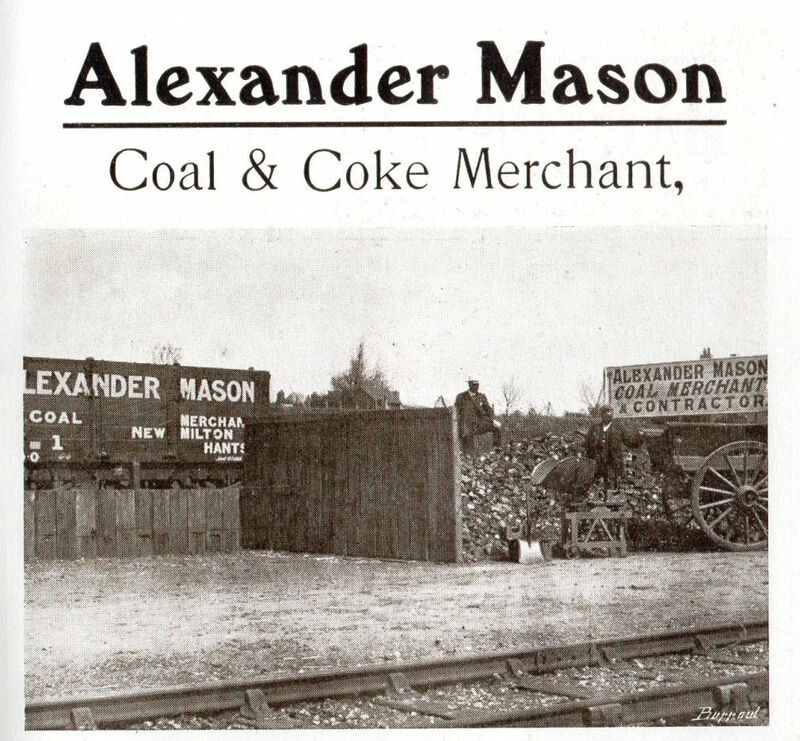 In addition to current affairs, the newspapers carried enticing adverts. For example; the South Hants Chronicle had adverts in the early 1900s encouraging working class people to seek their fortune in the colonies. There were offers of free land and farming opportunities in Canada, Australia and New Zealand. Closer to home, the villagers of Milton would have benefited from the railway line that had been built by the London and South Western Railway in 1886. 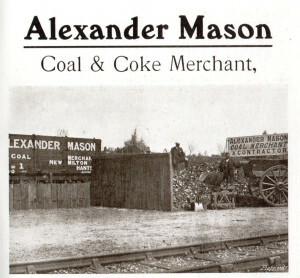 It meant that produce and animals could be taken to markets further away such as Ringwood, and goods such as coal for heating could be brought into the area far more easily which in turn reduced cost. Getting to Lymington or Christchurch market from Milton or to go and work outside of the village was done either on horseback, or by horse and cart or using a bicycle or walking. 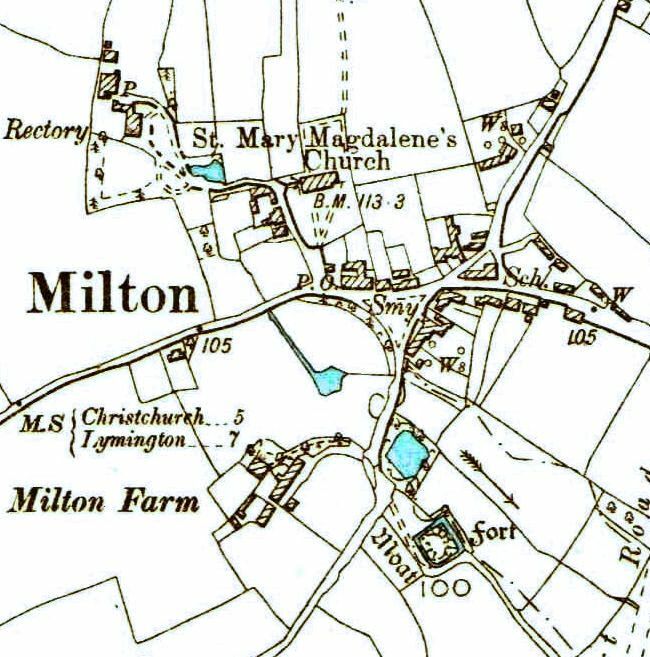 The 1842 Tithe map gives some idea of the Miltonians who owned or rented various patches of land for growing food or for keeping a few animals. One of the main forms of employment in and around the village was working on the land either as a tenant farmer or an agricultural labourer. 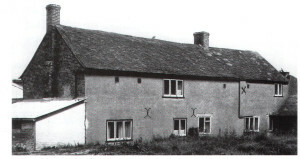 Milton Manor Farm was just south west of the village green. 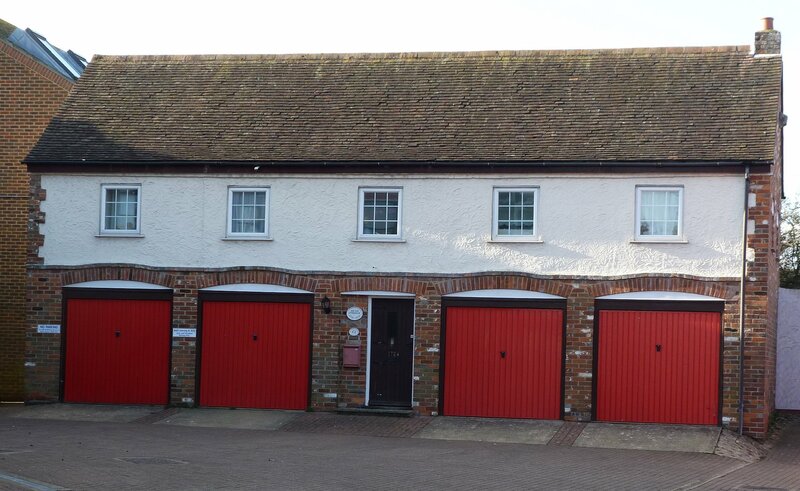 Further south there was Barton Farm and Barton Court Farm. Just north of the church was Gore Farm and Little Gore Farm. The average wage for an agricultural labourer in 1901 was fourteen shillings. 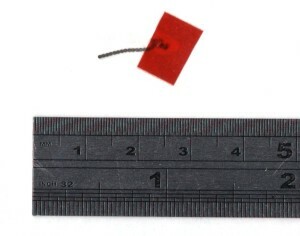 A historical price comparison suggests that this is worth just over £67.00 today. For many villagers life would have been a constant struggle to make ends meet. Foraging and taking advantage of what nature provided would have been a way to subsist. Evidence of this can be seen in a 1905 newspaper report concerning a meeting that was held in Milton Hall, which is still in existence just south of the railway bridge. Parishioners brought to the attention of the local council that the owner of Barton Common was blocking access. Several witnesses to the enquiry stated that they had for years turned their cattle out on the common. This was free grazing to them. In addition the villagers harvested furze or gorse. The thick woody parts of the gorse bush burn very hot and are ideal for heating ovens. The green tips of the gorse bushes would have been collected, chopped up and fed to their animals. This has a similar calorific value as oats. 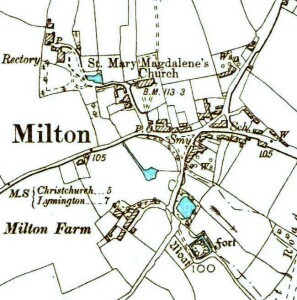 The attached map of 1898 shows the area of Milton village. On the map the letter W appears several times. This signified a well in the garden of a cottage. Communal water pumps were available. Clean water was a health concern. If a well was contaminated then many people could become ill or die. It had long been noted that the brewing process killed bacteria in water and made it safe to drink. The beer available in the Wheatsheaf and the George Inns would not have been particularly strong. It would have been known as ‘small beer’ and was a safe drink. There was some form of assistance available to the poor and needy not just in Milton village but across most of Britain. Legislation going back to Elizabethan times was in place to assist the poor in getting work and raising money from the parishioners in a form of income tax to be used to help the destitute in time of need. 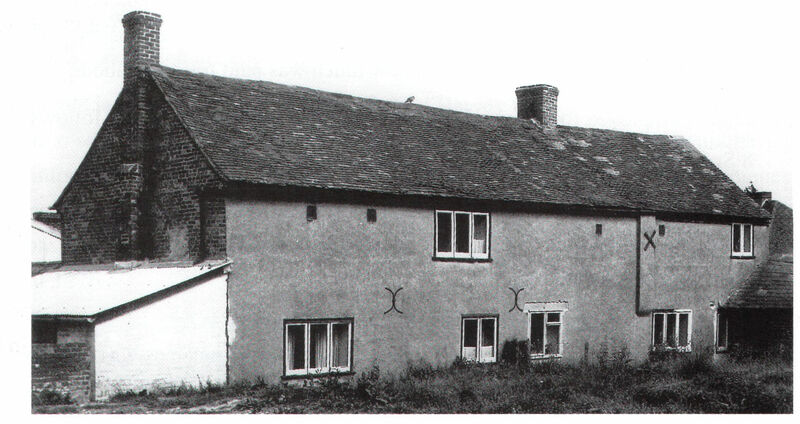 There was a Poor House in Milton village near the junction of Old Milton Road and Lymington Road. The records show that at one time there were thirty five inmates living there. The first poor house was destroyed by fire in 1794. 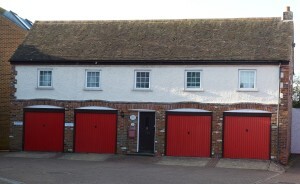 The replacement is still in existence, now privately owned as cottages. Children and women from the poor house were put to work making tiny watch chains called a fusee. Examples of this work can be seen in the Red House Museum. There was some basic health care available to the villagers of Milton. There were voluntary hospitals and sanatoriums where the working classes could obtain limited medical care. However it had to be paid for. Money was donated by the middle and upper classes. Money was raised by collections at church service one Sunday a year. This became known as Hospital Sunday. It turned into a social event as well as a fund raiser. There would have been a parade through the village with a band. Everyone would have turned out to watch, usually wearing their best clothes. 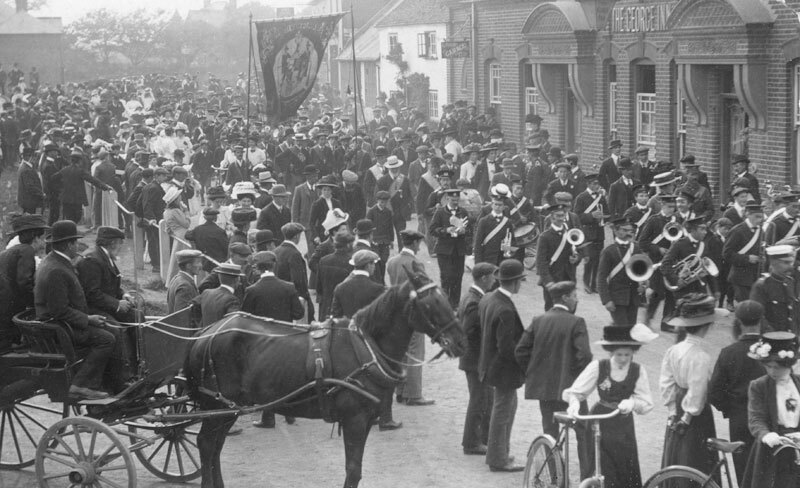 This image shows a Hospital Sunday parade outside the George Inn on the Lymington Road. Milton village was able to provide most of the goods and food that the residents needed or could afford. There was a post office next door to the Wheatsheaf Inn. Beside the Wheatsheaf there was a grocery store. There was a blacksmiths forge between the Wheatsheaf and the George. It is visible in the Hospital Sunday photo as being the white and black buildings to the left of the George Inn. There was a bakery and another grocer’s store on the east side of the village green. 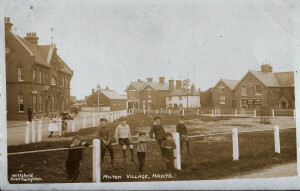 A school had been built on a triangle of land at the junction of Old Milton Road and Lymington Road. This operated from 1832 to 1919. Also on the east side of the village green was a saddler and a cobbler making shoes. Public entertainment and social events revolved around the village green. This was as important a communal space as the recreation ground is to modern day Miltonians. As well as hospital Sundays other social gatherings such as Empire day were held here. Early Ordnance Survey maps show that the village green was once quarter of an acre in size. It was certainly a tough life for the Miltonians of the past. There were worries of obtaining employment, not earning enough, paying the bills, putting food on the table and raising the children. Even basic things like a decent source of water could not be taken for granted. Welfare and health provision was not something that could be easily obtained. However they met the challenge and survived. We should be proud of them.